How to insert a blank column in pivot table? 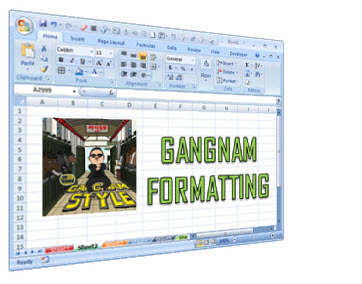 We all know pivot table functionality is a powerful & useful feature. But it comes with some quirks. For example, we cant insert a blank row or column inside pivot tables. 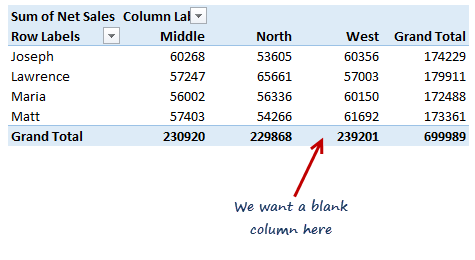 So today let me share a few ideas on how you can insert a blank column. Imagine you are looking at a pivot table like above. And you want to insert a column or row. Go ahead and try it. 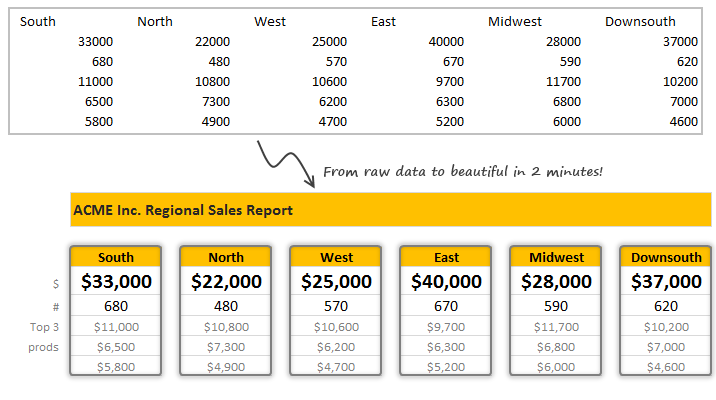 Zebra lines, the dull highlighting applied to alternative rows is a very good way to make your tables readable & pretty. 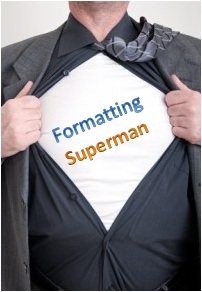 We can use either conditional formatting or table formats to quickly add zebra lines to our data. But what if you want a little more? 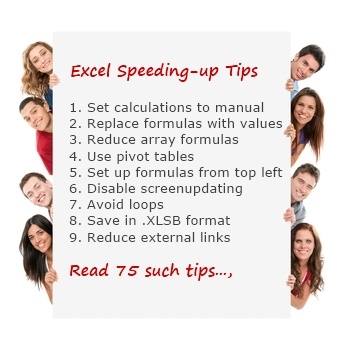 As part of our Speedy Spreadsheet Week, I have asked you to share your favorite tips & techniques for speeding up Excel. And what-a-mind-blowing response you gave. 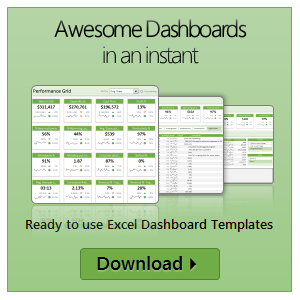 75 of you responded with lots of valuable tips & ideas to speed-up Excel formulas, VBA & Everything else. Many thanks to everyone who shared their tips & ideas with us. If you like the tips, please say thanks to the contributor. This page is broken in to 3 parts, click on any link to access those tips. 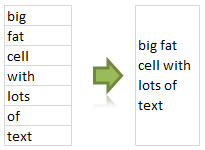 Did you know you can apply any text effect to a single character or group of text characters within a cell ? This post will show you 2 quick tips to assist you in this technique.